This guest post was written by Marc Hill, Founder and President of Digital Giants. How many times has “learn how to market online” gone up and down your list of priorities this year? Are you still dreaming of that day where you have enough time to get it all done? You are not alone, more than 80% of companies struggle to make marketing a priority. If you are committed to make marketing a priority, we have a quick start guide to get you started right away. Before you know it, leads will be finding you online and filling up your inbox with new opportunities. We have taken the guesswork out of getting started with this practical eight-step plan for web presence dominance. Benchmark your current web presence using Google Analytics to identify strengths, weaknesses, opportunities and threats. Where does your website rank in Google for the keywords your customers use to find your services and products? What pages of your website do users visit most often? Why do they want to buy from you, what challenges are you solving? Where do they spend time online? Use what you learned in step 2 to piece together a digital marketing strategy and monthly tactical game plan. Plan content, social media and search marketing tactics to target your #1 persona. Make sure all your marketing addresses all challenges and speaks directly to them. Build your strategy with your customer in mind. It is about them, not you. Get your profiles set up on the social channels where your customer could be searching for your product. Create an editorial calendar aligned with your priorities and messages. Make your social presence known by reaching out, following, liking, commenting, or tagging influencers in your niche market. Dedicate part of your budget to growing your presence online with a paid budget to grow your following or your engagement. Become your own brand journalist by blogging and remember to include visuals, graphics and videos. Make the content is informative and educational, offering solutions to your customers. Share your content on your social channels. B2B companies with active blogs generate 67% more leads per month on average than those that don’t. Content paired with an image attracts 94% more views. Solid content drives search engine authority. But you have to optimize it with the keywords your target customer is using. Do your research to find these keywords, and consider adding paid advertising to increase authority even more. Tried, but failed? Not seeing results? Feeling overwhelmed? Consider working with a digital marketing agency to build your web presence strategy and execute it with expertise. When you partner, you get a whole new skill set. Partnering with a digital marketing agency brings a whole team of specialized, experienced professionals working on your project at a significantly lower cost than building your own team. Agencies devote resources to educating employees and keeping them on the cutting edge of their respective discipline. Additionally, the team environment within an agency fosters continual learning and growth. Mason Miller chose to focus on what they do best and partner with Digital Giants. We have some new and exciting things planned for their channels in 2019. Marc Hill is the Founder and President of Digital Giants, a digital marketing firm. 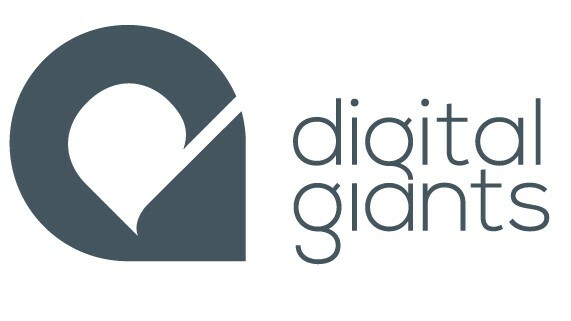 We believe all brands should be Digital Giants. A Q & A between Heather Mason, partner Mason Miller, and Concept of Movement co-owner, Kylee Swales, on what makes a successful entrepreneur and why she believes hiring an outside bookkeeper for their business was the smart choice. Working on cash flow management to move a business from operating in the red to operating in the black can be an uphill battle for many companies. The good news is it doesn’t have to be a battle at all. There is a solution to simple cash flow management to increase profits and avoid cash..
Why Charities Should Use An Outside Bookkeeper This guest blog was written by James Thomson, CEO and President of New Path Foundation Charities do great things for people and communities and are an important part of our society. New Path Foundation is one such charity doing great work by providing assistance to organizations through a shared space model as..